Well-known in Japan as being home to some of the country’s warmest – and most passionate – people, Hiroshima gets kind of a bum rap in the outside world. Of course, being the first city in the history of mankind to be destroyed by an atomic bomb is quite a grim legacy. But Hiroshima is so much more than that and is well worth a visit on any trip to Japan. Quietly and consistently voted as one of the most liveable cities in the country, Hiroshima is still an under-appreciated destination spot on a first-timer’s Japan bucket list. 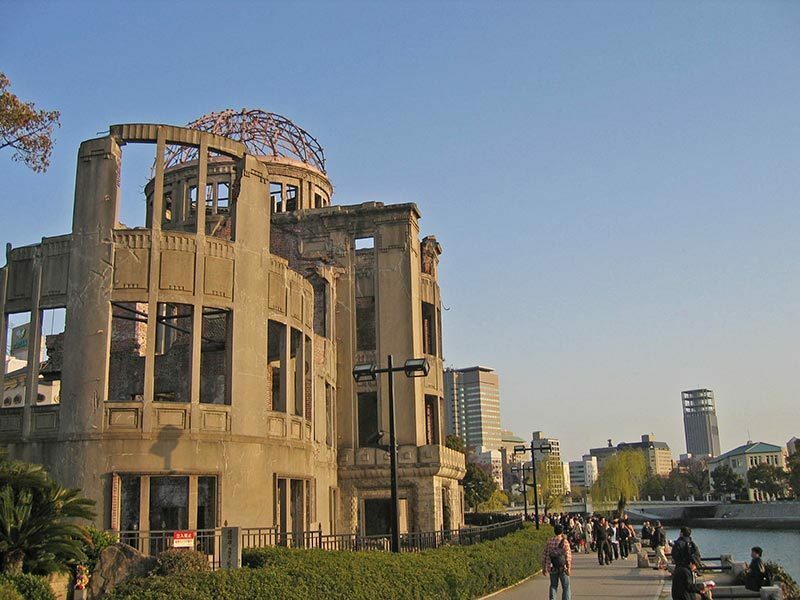 With the 70th anniversary of the atomic bombing coming up this week, visiting any one of these top eight attractions will hopefully change anyone’s outlook on this gem of a city! Commonly known as the Atomic Bomb Dome, this is undoubtedly the symbol – for better or worse – most associated with Hiroshima. Designated a World Heritage Site in 1996, the former Prefectural Industrial Promotion Hall was the only structure left standing after the bombing on August 6, 1945. The twisted metal of the dome and the rubble-strewn surroundings is left the same as it was 70 years ago, a testament to the power of the new weapon and an everlasting symbol of peace. The dome itself, as well as the absolutely beautiful Memorial Park surrounding the site, should be near the top of any visit to the city. 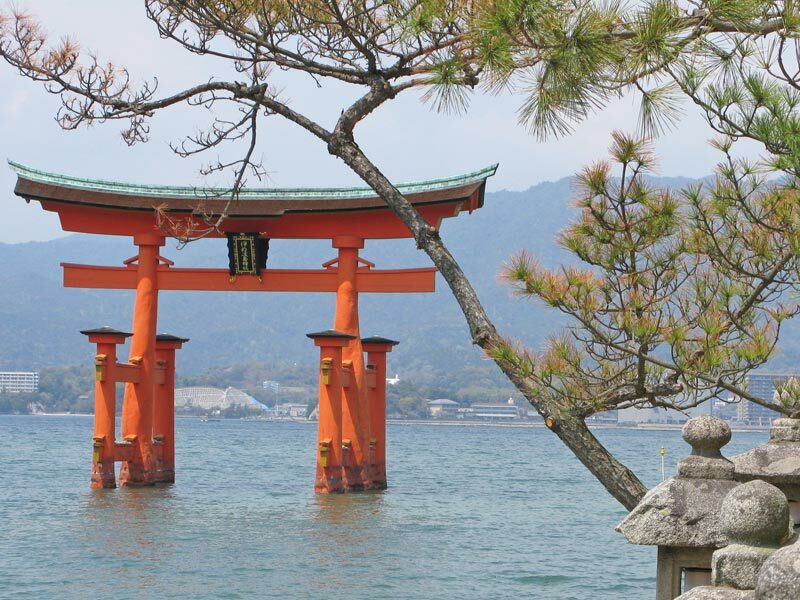 A personal favorite, Miyajima (officially named Itsukushima) is a very small island a short jaunt from Hiroshima. After taking a 10-minute ferry, the striking view of the island is unforgettable. Sparsely populated and intensely rural, Miyajima is renowned throughout the country as being the best spot to see the autumn leaves change colors. The island’s many maple trees are turned a brilliant crimson in the fall, making it a top attraction for those looking to snap that perfect picture. And because the island itself is sacred, the trees are protected and cannot be cut. This protection also extends to the tame deer roaming the island, a sacred animal considered to be friends of the gods. First established in the 6th century, the present shrine dates back almost 500 years and boasts one of Japan’s official Three Greatest Views. Because the shrine was built over the water, with stick-like structures lofting it above the sea floor, the entire shrine looks to be floating. Depending on whether the tide is in or out, your views of the surrounding area will change. This beguiling shrine and the surrounding pagodas, temples, and extant buildings, is a great place to visit and one of my favorite places in the entire country. 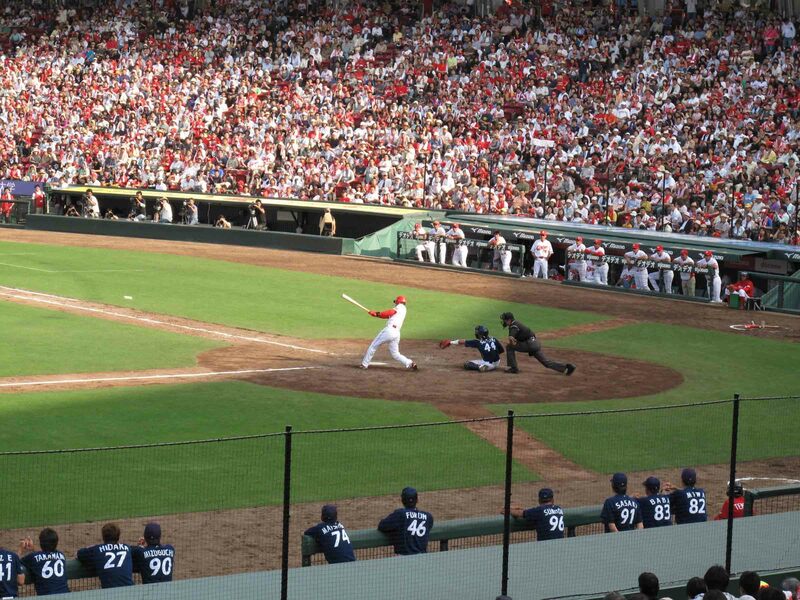 Playing in the best-named stadium in all of baseball (Mazda Zoom-Zoom Stadium Hiroshima), the Hiroshima Carp is considered the little brother among the other professional baseball teams. Having not won any sort of pennant or championship since 1991, the team definitely isn’t a powerhouse akin to the Yankees or Red Sox. Can the team throw off the yoke of history and win it all this year? No, probably not. What the Carp can do, however, is boast having the country’s most passionate and crazed fans. Watching a Hiroshima Carp baseball game is a full body, full senses experience. 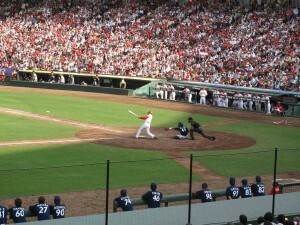 As opposed to your typical American baseball game, many Carp fans never sit down – the entire game. They also have an impressive amount of songs, cheers, and dances memorized for just the right occasion during the game. At first, it can be confusing, even intimidating, watching a Carp game alongside the diehards in the bleachers. However, after an inning or two, you’ll be yelling and stomping alongside 30,000 other fans for life. After yelling yourself hoarse watching the Carp valiantly soldier on, what better way to drown your sorrows than taking in Hiroshima’s most famous dish, okonomiyaki? Very loosely described as a savory pancake, this Japanese delight contains an eclectic variety of ingredients, all working together to create a unique and delicious treat. Squid, cabbage, pork, egg, noodles, sauces – really anything you want! Fiercely proud of their layered-style of okonomiyaki, every resident of Hiroshima will tell you the best tasting okonomiyaki in the world comes from, of course, Hiroshima. I have yet to disagree. 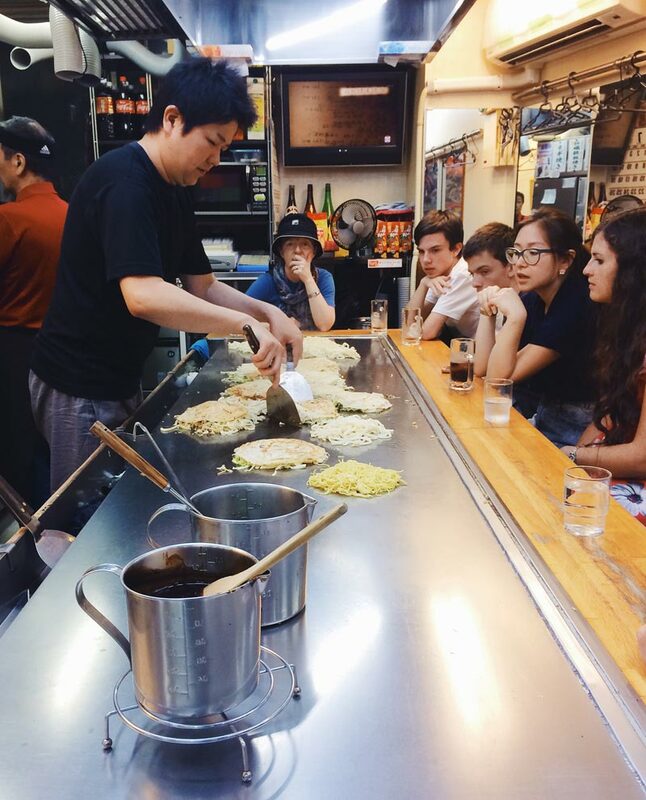 For a great okonomiyaki experience, head down to Okonomimura. Okonomimura is basically a food theme park, the ramshackle building housing over 20 different okonomiyaki restaurants all competing for your patronage. A very unique and memorable place to try the local delicacy! 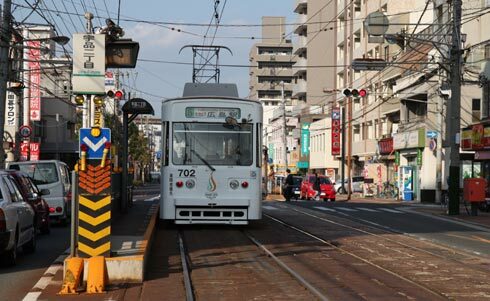 To take a streetcar in Hiroshima is to take ride back in time. Notable throughout Japan for the sheer number of streetcars, and its light rail system in general, Hiroshima takes great pride in still offering this gradually disappearing travel option. Known as the Hiroden and employing over 300 streetcars, seeing one roll slowly down Hiroshima’s streets can rouse nostalgia for some. Since 1912, streetcars have moved the people of Hiroshima from place to place, rarely stopping. Indeed, only three days after the atomic bombing, the streetcars were up and running again in the city. There are even a couple streetcars still in service today from those early days. Because Hiroshima actually buys up other city’s’ discontinued trolleys, there are a variety of streetcars to choose from. This preservation of a part of Japanese culture is one of the reasons the Hiroden is also known as the Moving Streetcar Museum. A great way to see the city! Founded in 1920 in Hiroshima, it is no surprise to see so many Mazda cars zooming the streets. Whether a car enthusiast or not, the Mazda Museum is a short trip from the city and well worth it. In addition to the corporate headquarters proper, Mazda also owns a small plot of coastal land near the city. This plot of land accommodates a research and development center, as well as factories. After signing up for a guided tour, the Mazda representative will take interested customers through a museum showing the history of the company, as well as walk through an actual, working assembly line. There’s also a chance to buy all the Mazda goods you can handle! Quiz: What kind of Japan traveller are you? 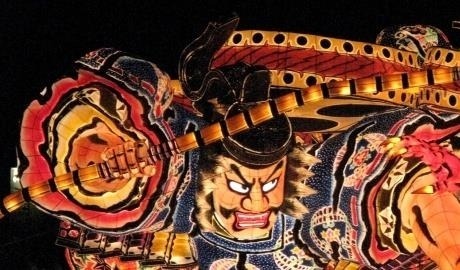 Offering a fantastic example of traditional Japanese castle construction, Hiroshima Castle is a fine castle indeed. The present castle was, of course, reconstructed after World War II, but is still a fantastic site to behold. 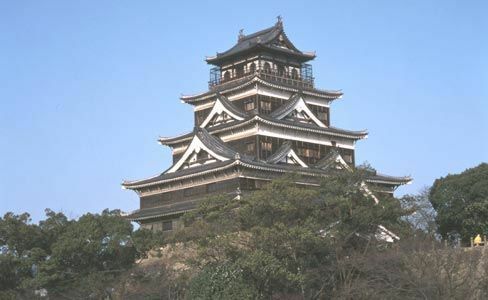 Surrounded by a moat, the five-story tall castle was first built in 1589 by legendary feudal lord Mori Terumoto. The present castle has been sturdily rebuilt out of concrete with a classic wooden exterior. It is also one of the best spots in the city to see cherry and plum blossoms among the sprawling castle gardens. 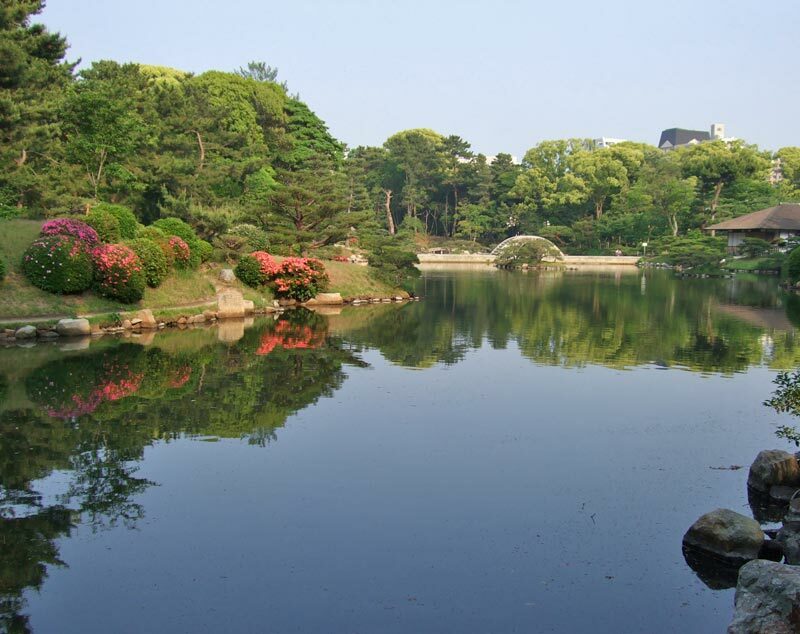 For one of the finest examples of a typical Japanese garden, head over to Shukkeien, just east of the castle. Shukkeien can be translated to mean “shrunken-scenery garden” and that is exactly what it represents. Imposing mountains, deep valleys, lush forests, and scenic lakes are all miniaturized and have been carefully cultivated over the centuries. Dating back to 1620, the Shukkeien can be considered the quintessential Japanese-style garden. The vegetation lends itself well to natural landscapes, and is a joy to walk around. Dotted with teahouses and tranquil lakes, it is difficult to take a bad photo here! 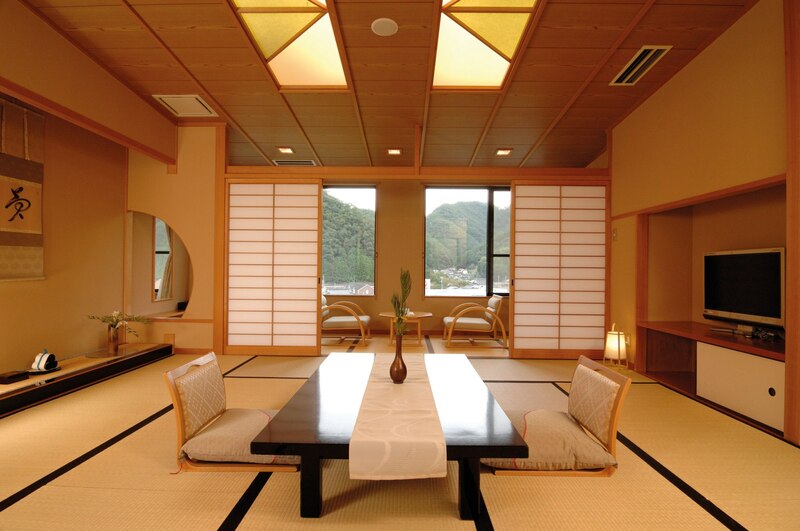 To start planning your trip to Japan, get in touch with our team of friendly Japan experts.